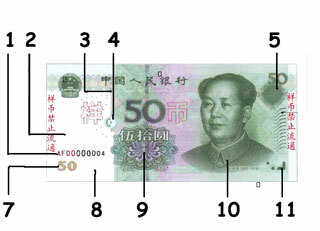 The letters, 'RMB", and the numeral, "50" can be viewed with the help of a magnifying glass in the digits of the upper left denomination of the note. 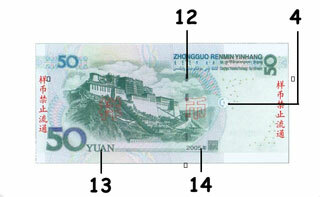 When the banknote is viewed from a certain angle, the number "50" appears at the top right of the note. 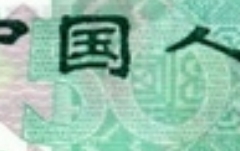 Lines printed in the right of the 50 Renminbi/ yuan note, made by intaglio printing feel raised. 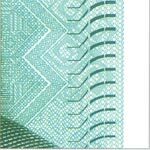 Tilt the note to see the numeral 50 in the lower left corner of the note shift from green to blue. 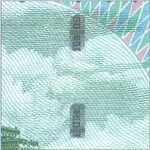 Symbols for visually handicapped are applied by intaglio printing on the obverse side lower right corner of the 50 China yuan renminbi note.